The "Loveline" alum shares his personal prostate cancer battle and the dangers of our digital age. Dr. Drew Pinsky knows the value our culture places on celebrity, and he winces when it’s not used to its maximum effect. So he marvels at stars like Parkinson’s disease advocate Michael J. Fox for bringing the necessary knowledge the subject demands. Now, it’s Dr. Pinsky’s turn. 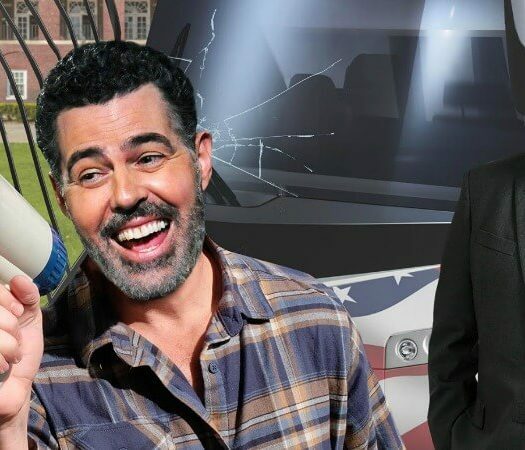 The host of “Loveline” and HLN’s “Dr. 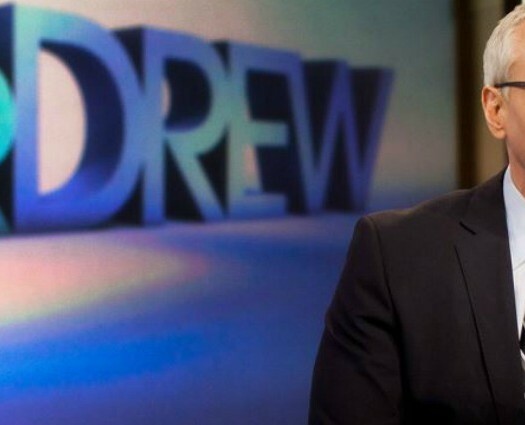 Drew on Call,” not to mention his podcasts on Carolla Digital, recently battled prostate cancer. He wants to share his successful fight with other men to make sure they get treated early, and properly, should they develop the disease. One in seven men will be diagnosed with prostate cancer according to the Prostate Cancer Foundation. Black men are more than twice as likely to die from it than other groups. Dr. Pinsky didn’t rush to share his personal cancer story. He learned about his condition after a doctor noticed his higher than usual PSA (Prostate specific antigen) count. Prostate cancer often grows without symptoms, making PSA count analysis important. If you love @KABCRadio #MiddayLive and missed an episode, it’s all at available your fingertips in podcast form on https://t.co/TS2grq5oiB! https://t.co/uJ2Nhw02Uu Find Monday’s controversial episode and all the previous shows to catch up on. The conventional wisdom on Dr. Pinsky’s case suggested monitoring the issue without taking immediate action, something Dr. Pinsky would have done without the urging of his own doctor. “I’m a little more conservative than my urologist,” says Dr. Pinsky, who eventually underwent prostate cancer surgery to remove his tumor. His PSA level hovered in the normal range even though it was higher than usual. Doctors suggested a more aggressive approach, and Dr. Pinsky is glad they did. FAST FACT: When Dr. Drew Pinsky first joined the “Loveline” radio show he worked free of charge. Toward the end of the show’s run he once again toiled without a salary. His experiences changed the way he values PSA screenings. It also reinforced what he’s learned about caring for the sick. He says doctors straight out of medical school have roughly the same knowledge as someone 20 years into his or her practice. The difference is experience and instincts honed by treating hundreds, if not thousands, of patients. DID YOU KNOW: Dr. Drew Pinsky once worked as a lifeguard in Laguna, Calif. and is a trained opera singer. Today, Dr. Pinsky is in good health and sharing his medical views via television, radio and podcasts. Those who have followed him over the years may notice he’s more willing to share his views on a variety of topics. He still takes great care in his words. Dr. Pinsky has been doling out advice aimed at teens for decades. He commands their respect all these years later but admits that connection isn’t as strong as it once was. “Their landscape is much more diverse,” he says of modern teens. Still, his work on “Loveline” and a willingness to embrace today’s pop culture helps keep him aligned with their world. “I’ve been talking to young people continually since 1983. That creates a kind of sensitivity or empathy of what they’re contending with in this holistic moment,” he says. AGE: Older men are more likely to develop the disease. More than 65 percent of all prostate cancers occur in men over 65. RACE: Black men are more likely to develop prostate cancer while Asian men living in Asia are the least likely to battle it. FAMILY HISTORY: Men whose father or brother have prostate cancer are twice as likely to develop it. The risk factors increase if the cancer affected three or more family members. GEOGRAPHY: Men in the U.S. have a 17 percent chance of developing prostate cancer. Men in rural China, by comparison, only have a 2 percent chance. The same Chinese men who move to a western culture will find their risk factor increases dramatically.